My hand wavered over the “Enter Title Here,” for this post. It’s been a long time since I’ve blogged. And then, I started to type the list of things that have been keeping me busy but that goes back to why I’m so busy: keeping lists. Yesterday, I officially became a provisional elder. I am grateful that I have been affirmed and encouraged through much of the process by so many people. I have shared heart-felt thank you’s over the last 24 hours by phone, text, and email. Praise God. 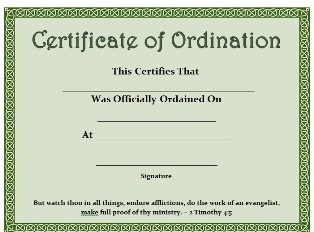 This whole ordination thing is a mystery to people inside the United Methodist Church (UMC), even clergy striving to become elders to be ordained. So for those of you who are not UM’s, here goes on the commissioning questions and interviewing. Just know this latest hurdle has been difficult with written work submitted and interviews with five panels composed of clergy and church members. I delayed the written work to take a year to complete it because it required much research, thought, and energy. Being a full-time local pastor in a busy church of 1800 members was a challenge completing the questions. Know the interview process ran from 9a-3p. The process is to affirm the call by God among individuals seeking ordination. Keeping my dad’s response in mind, I don’t think people understand that the process can be draining and for those “doing well” and debilitating for those who don’t “score” well. That scoring could include the moving target of being evaluated as effective clergy on a day-to-day basis in the local church or “failing” the psychological exams. Some of the evaluative tools could be considered subjective. So my heart goes out to those I know, those who have been delayed and worse those I don’t know who have been diverted from ministry or departed on their own weary steam. Having used words like debilitating and weary, I am concerned that young people, women, and people of color including African Americans, just to name a few, finishing seminary are not opting for pulpit ministry in the UMC and other denominations. Right now being so fully immersed in the ordination process–if all goes well I will be ordained in 2016–I pose these concerns but don’t have many answers. Do you? Starting to answer the commissioning questions? Bibliography and other information. (1) Describe your personal experience of God and the understanding of God you derive from biblical, theological and historical sources. (2) What is your understanding of evil as it exists in the world? (3) What is your understanding of humanity, and the human need for divine grace? (4) How do you interpret the statement “Jesus Christ is Lord”? (5) What is your conception of the activity of the Holy Spirit in personal faith, in the community of believers and in responsible living in the world? (6) What is your understanding of the kingdom of God; the Resurrection; eternal life? (7) How do you intend to affirm, teach and apply Part II of the Discipline (Doctrinal Standards and Our Theological Task) in your work in the ministry to which you have been called? (8) Discuss your understanding of the primary characteristics of United Methodist polity. (9) How do you perceive yourself, your gifts, your motives, your role and your commitment as a provisional member and commissioned minister in the United Methodist Church? (10) Describe your understanding of diakonia, the servant ministry of the church, and the servant ministry of the provisional member and commissioned minister. (11) What is the meaning of ordination in the context of the general ministry of the church? (12) Describe your understanding of an inclusive church and ministry. (13) You have agreed as a candidate for the sake of the mission of Jesus Christ in the world and the most effective witness of the gospel, and in consideration of their influence as ministers, to make a complete dedication of yourself to the highest ideals of the Christian life and to this end agree to exercise responsible self-control by personal habits conducive to bodily health, mental and emotional maturity, integrity in all personal relationships, fidelity in marriage and celibacy in singleness, social responsibility and growth in grace and the knowledge and love of God. What is your understanding of this agreement? (14) The United Methodist Church holds that the living core of the Christian faith was revealed in Scripture, illumined by tradition, vivified in personal experience and confirmed by reason. 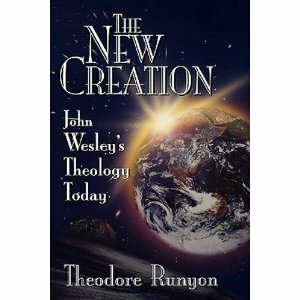 What is your understanding of this theological position of the Church? (15) Explain the role and significance of the sacraments in the ministry to which you have been called. (16) Describe the nature and mission of the Church. What are its primary tasks today?